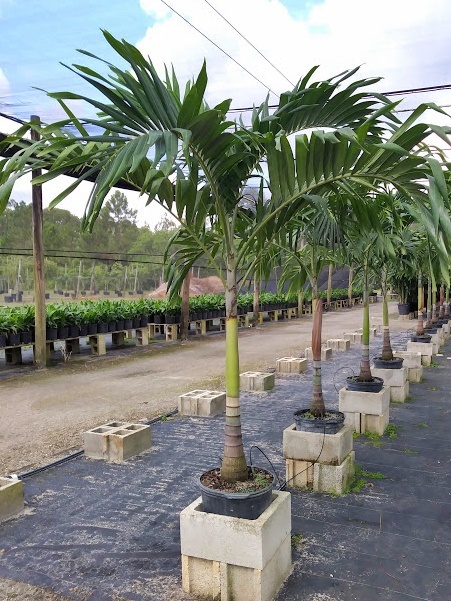 The adonidia palm – often called “Christmas Palm” – is a showy, highly ornamental palm that works beautifully in small landscape areas. The adonidia is easy care…it’s self-cleaning, meaning the spent fronds just fall off by themselves, a big low-maintenance plus. And adonidias are pretty much pest-free.